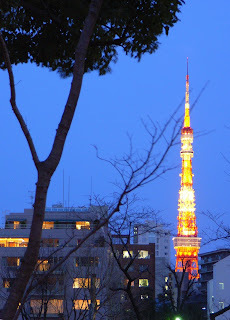 In the evening, Tokyo Tower is lighted up by over a hundred of floodlights. Though it look a bit far, it turns out to be just a 15-minute walk from Ropponghi. 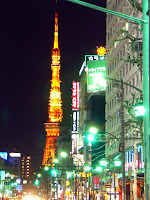 At the moment, the Tokyo Tower remains as the world's tallest self-supporting steel tower. 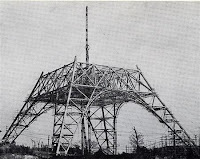 To be frank, it is not hard to realize the structure is 100% inspired by the Eiffel Tower. In which, the tower is painted in white and orange to comply with the air safety regulations. Built in 1958, the tower's main sources of revenue are tourism and antenna leasing. Over 150 million people have visited the tower since its opening.